European owned and managed - we live and ride in Mui Ne! Kitesurf Nam is owned and managed by Christina from Switzerland and Iain (known to everyone but his mum as Shina) from the UK. 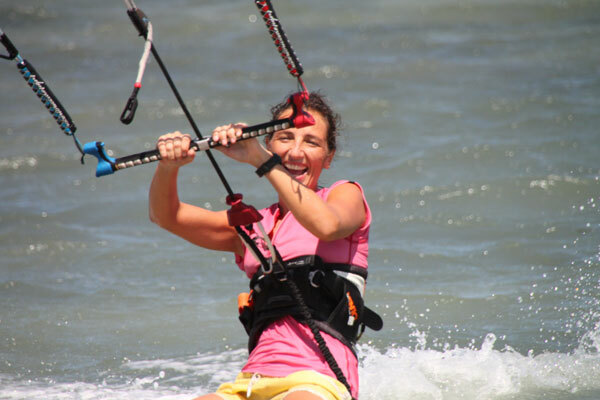 Shina has been kitesurfing for more than ten years. His love affair with watersports started at 15 when he learnt to windsurf in Corsica, and he worked as a windsurfing instructor in the early years of the sport. 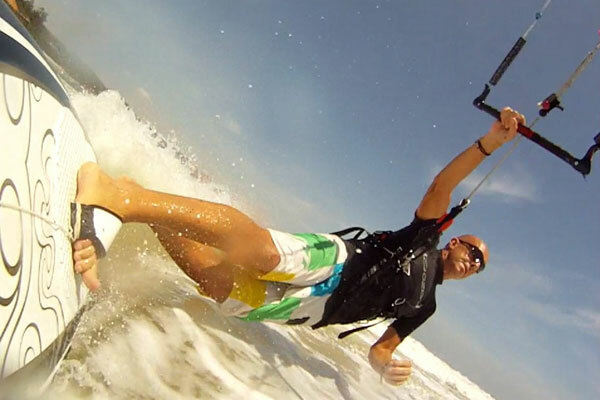 He is an IKO qualified kitesurf instructor and has spent many years travelling the world, kitesurfing on five continents in some of the best spots in the world. He googled "strong wind" and "Asia" back in 2005, and when Mui Ne came up in the search results, he packed his bags and headed over to Vietnam. After finding strong wind, warm water, a perfect climate and many new friends, he rarely makes it back home to the UK now. After several years of helping friends, family, friends of friends and friends of family to have wonderful holidays in Vietnam, he thought "Why don't I do this for a living?" - and Kitesurf Nam was born. 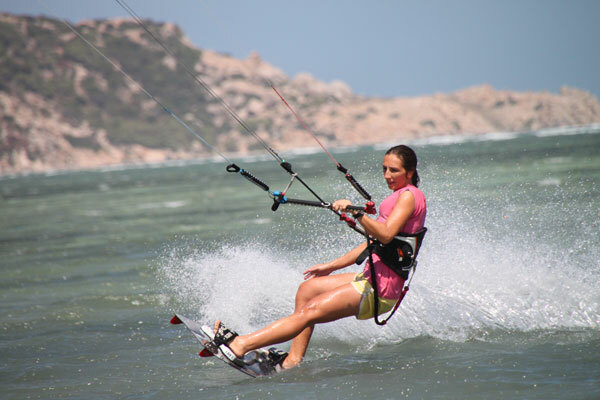 Christina was travelling independently in Vietnam in 2008 and dropped into Mui Ne for 3 days - big mistake! She fell in love with the place, learnt to kitesurf, and returned several times before deciding to move over here permanently a year later. Christina is a keen snowboarder, inline skater and mountain biker. Being Swiss, she has legendary organisational skills which she used as a marketing product manager in Switzerland. More recently she has experience in the hotel business in Vietnam, and the biggest smile in Mui Ne! Christina and Shina got married in 2013, and now have two daughters, both born in Saigon, and both already loving the beach life!